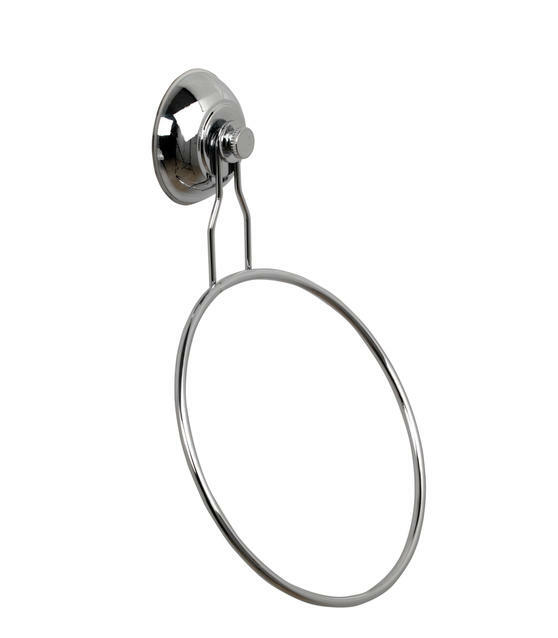 The Beldray suction towel ring is the perfect storage solution and an essential bathroom accessory. 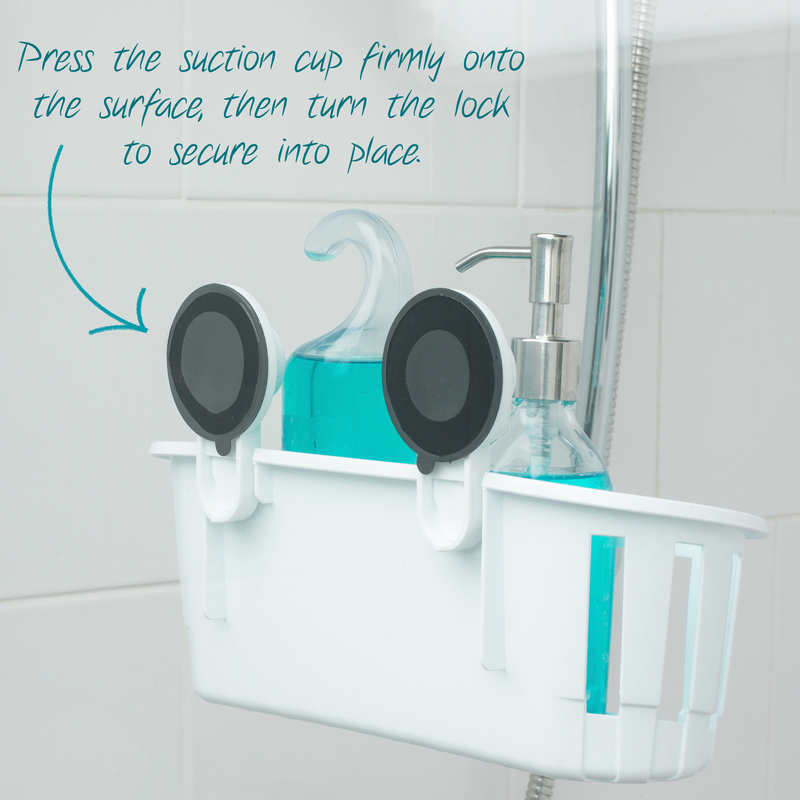 Simply attach the ring to any smooth bathroom surface, the suction cup will provide incredibly secure hold and easy installation near your bath, shower or sink. 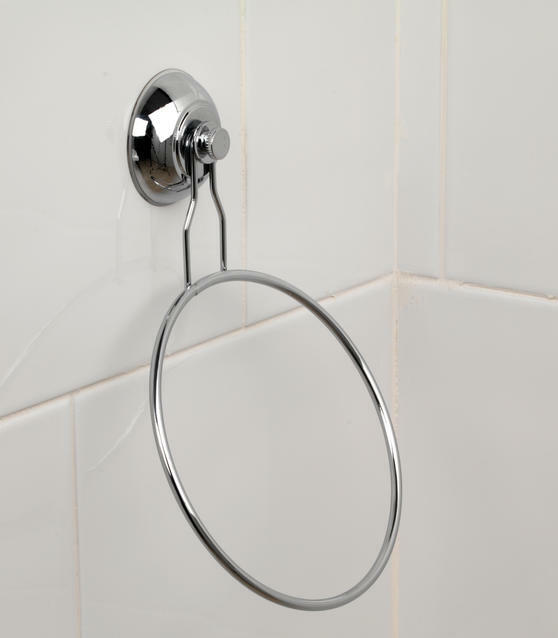 No tools are required when installing the towel ring in your home and there is no need to damage your expensive tiling with drilling. The contemporary chrome plated finish is beautifully shiny and incredibly durable to prevent rusting. 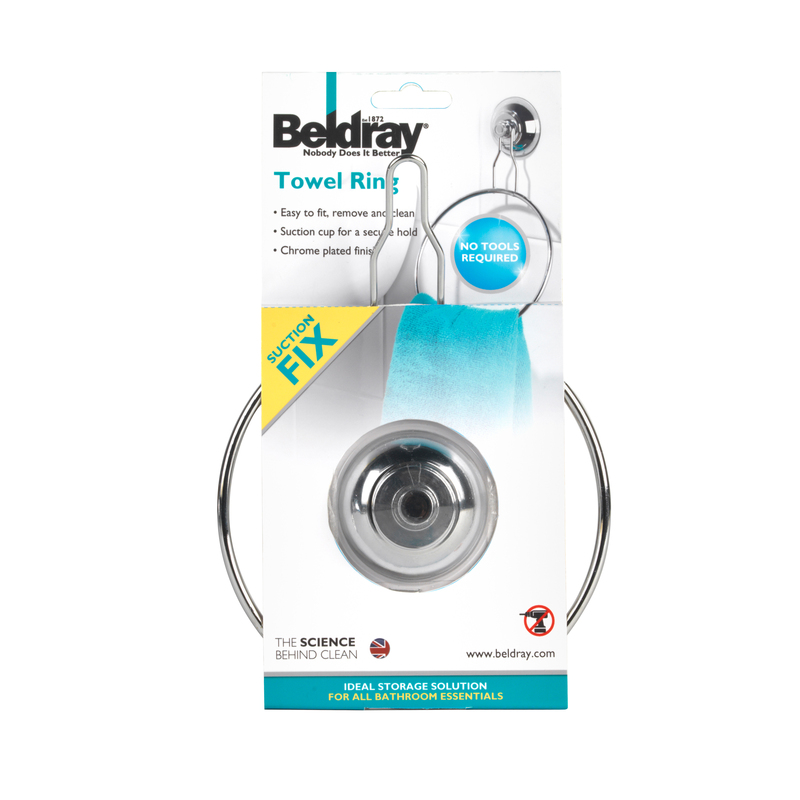 For fantastic suction and stability to hold your favourite bathroom towels, this Beldray towel ring is easy to fit, remove and clean. 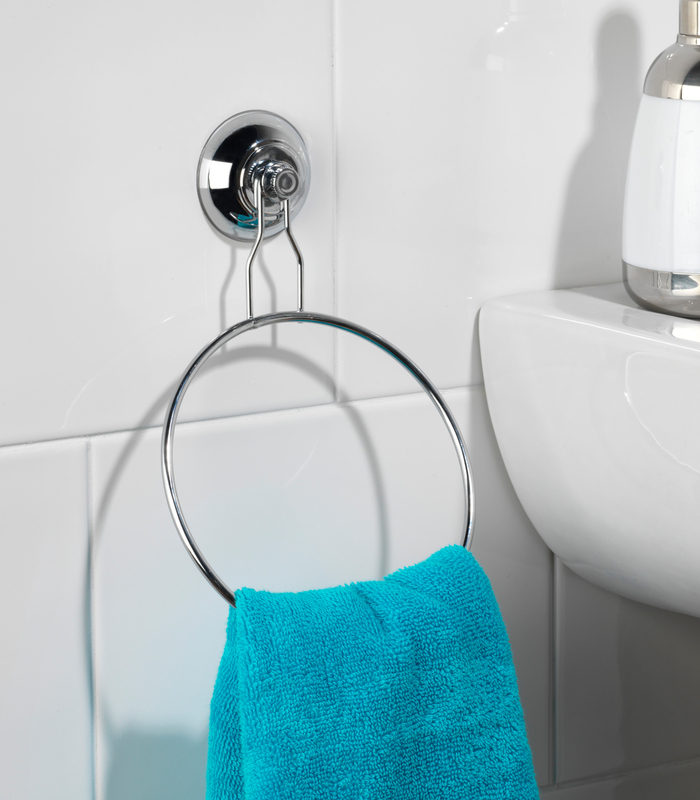 There are no limits to where you can place the ring as the suction design means you can effortlessly move it around your bathroom. This perfectly designed towel ring takes up minimal space, keeps towels blissfully dry and neatly stores them away within close reach. 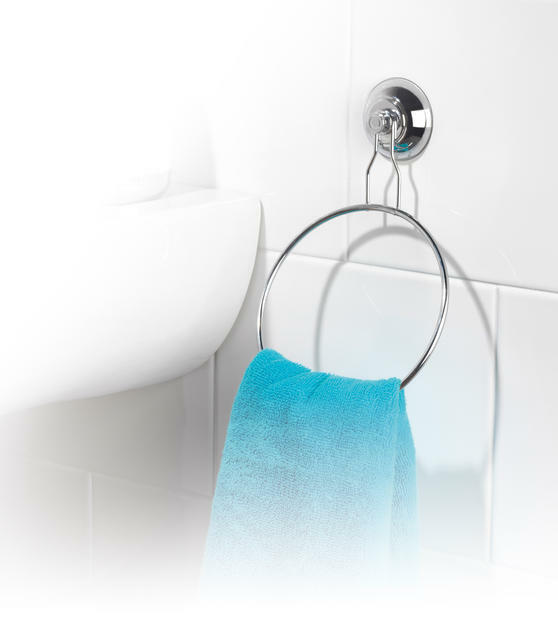 Measuring at 50 cm in length, with a smoothly curved ring and sturdy dipped hold, the ring will securely grip your towels with ease.